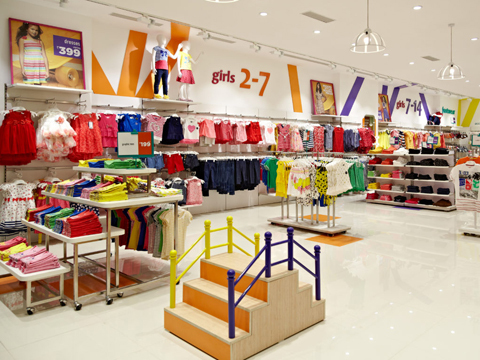 Venkta pointed out that India has 30% population aged less than 14 years and the kids wear segment has a 20% approximate share in the apparel market which is predicted to grow at 25% by 2026. Fashion is not constricted by size, gender, skin tone and definitely not by age. There lies no reason to think that our tiny toddlers or our teen battalion has any less inclination to walk in their parents’ footsteps and carry out that Armani or Gucci. Hence the fashion industry has come up with a separate target customer base in kids which is taking the market by storm. This article reflects what some of the top players of kids’ fashion segment has to say about post GST effects and trends. Apart from the general issues with supplies due to invoicing that came up with the initial imposition of GST, the supply has been quite encouraging. This positive trend can be attributed to the lowest tax slab on apparels below Rs 999 which has been fixed at 5%. There has been rationalization in terms of production cost as customers are being crowded out after GST. Kolkata based kids wear brand Nee and Oink’s co founder Neelakshi Ray said, “We have tried to maintain same aesthetics throughout but we have been more careful about production margins”. She explained that when it comes to kids’ fashion, their choices are driven by impulse and festive moods which in turn impact their parents’ decision as well. Hence it is much more important to be creative in terms of designing and creating experience. The kids’ wear segment of the Indian apparel market is estimated to be 60,000 crore and according to Toonz Retail CEO and MD, Sharad Venkta, is growing at a rate of 10% per year. Indian urban families are more educated, conscious and financially capable to be brand conscious when it comes to dressing their children and in that sense the Indian market is ever promising. Venkta pointed out that India has 30% population aged less than 14 years and the kids wear segment has a 20% approximate share in the apparel market which is predicted to grow at 25% by 2026. Impacts of GST on market trends are still at a preliminary stage to be predicted so soon. Neelakshi Ray further predicted that there might be some impact on the annual growth rate but an upscale consumer potential and increasing young population there should be scope for additional market share for the segment. The reasons that could be attributed to the whooping growth of kids’ fashion industry are the swift growth of internet and social media and more awareness among parents. With international brands stepping in, the market is now more competitive while customers are provided with scores of options. There has been significant change in the fashion trends which are quickly spreading among the tier1, tier2 and tier3 cities. Manufacturers are being forced to work even harder and come up with innovative styles as parents are sporting a no-compromise attitude when it comes to fashion.